← RECALLING DETROIT’S 1967 REBELLION AND THE RACIST VIETNAM WAR: TIME FOR AFRICAN LIBERATION DAY! STOP U.S. INTERVENTION IN VENEZUELA! 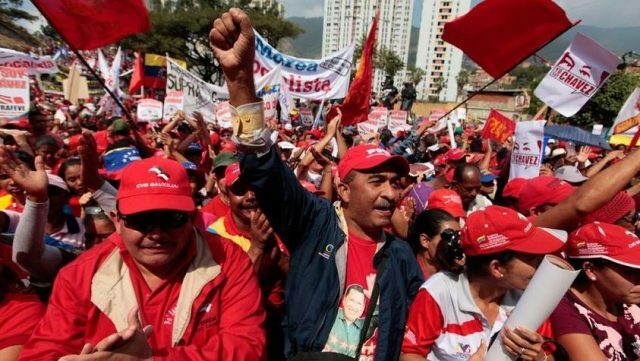 The International Action Center is calling for Emergency Days of Solidarity with Bolivarian Venezuela to stop the US attempt to destroy the Revolution, from Thursday, June 1 through Saturday, June 10. 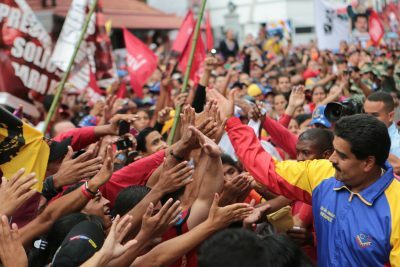 Venezuelan President Nicolas Maduro greets masses of supporters. 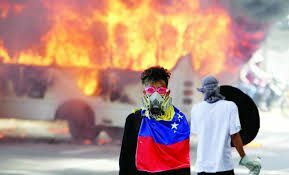 What has been happening for the last two months in Venezuela is a counterrevolution by the most reactionary forces of the opposition to President Nicolás Maduro’s government. It is no different from what the US did with Pinochet in Chile in 1973, with the “contras” in Nicaragua in the 80’s and more recently against Libya and now in Syria. It is a ‘regime change’ effort. 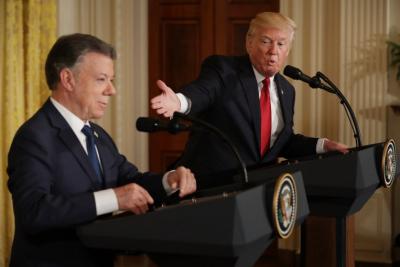 The corporate media – the voice of the Pentagon and White House – has set up an international campaign of blatant lies that try to present the terrorist actions of the fascist hoards as repression from the Revolutionary Government. The truth is that these terrorist acts are directed against state buildings and agencies and against the supporters of the revolution. The aim of these protests is to create chaos to declare a ‘humanitarian crisis’ and demand US intervention. State agencies’ buildings have been destroyed, an entire float of public buses burned, a health facility for women and children attacked. Over sixty people have died and hundreds wounded during these protests. These are not ‘pro-democracy peaceful’ protests as the media tries to portray. Criminal groups and thugs are involved. Children paid by the opposition with US aid money are also involved. The fascist, hateful and racist character of the attacks include setting people on fire, stabbing and beating them while shouting racist insults. The OAS (Organization of American States) s been the principal body working on behalf of the US, to launch an international campaign against Venezuela. As a result, Venezuela left the OAS. Express solidarity with the Bolivarian people and their government. For further information, contact 313-319-0870.